There are plenty of reasons to come to Catalyst. 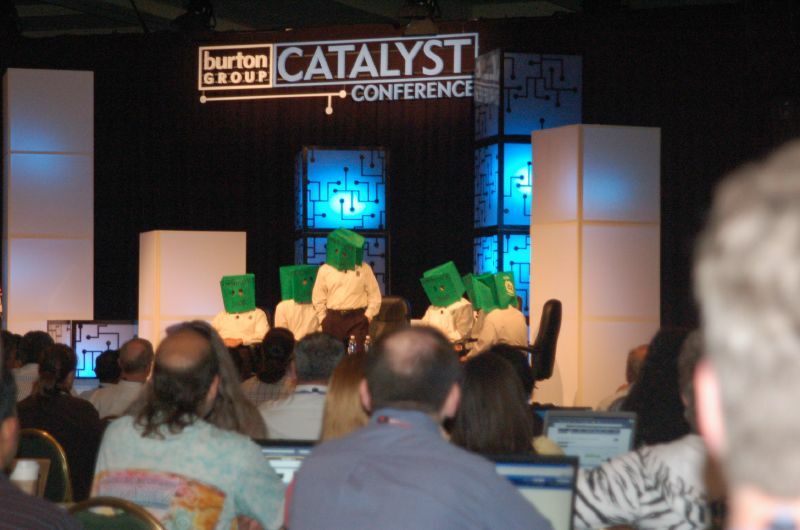 Engaging workshops, great sessions, interesting speakers, the chance to see the entire Identity and Privacy Strategies team on stage with bags on their heads – you know, the kinds of thing you’d expect. For those of you with a Certified Information Privacy Professional (CIPP) certification, this year we’ve a little something extra for you – continuing education credits. By attending IdPS’ Privacy Risks Get Realtrack, you’ll earn 3.5 hours of continuing privacy education (CPE) credit. Attend SRMS’ Risk Management: Programs You Can’t Afford to Cut and receive another 3.5 hours of credit. And here’s a second bonus: we are making it easier than ever for you privacy professionals out there who haven’t attended a Catalyst before to attend this year. By registering with promo code IAPP, you’ll be able to attend the conference at $300 off the Early Bird rate. See you in July!